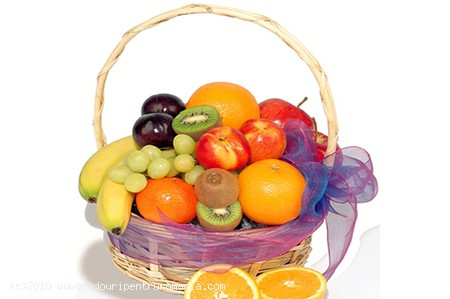 Filled with delicious local fruits and mouthwatering exotic treats, the gift basket is fun and adorable! What a fresh way to say “Get Well”! They will spring out of bed and enjoy more fruit in no time! We are proud to offer you quick gifts and flower deliveries anywhere in Romania at the highest standards!